Syndrome Game Review: Getting Down with the Sickness in Space! I’ll be honest, I was unsure about reviewing this title as my experience with it during a preview stage was not the best. I waited eagerly to see what new changes would be made to the game I played back in May. The experience I remembered was not entirely that engaging as the game felt dated, clunky and just plain boring. But I decided to take a deep breath and venture once again into the darkness of space and review the eerily titled Syndrome. Syndrome is the tale of Galen, a man who awakens onboard a space ship and finds everyone is pretty much dead. Venturing forward he discovers that some of the crew have been transformed and are now walking the decks of the ship in search of survivors to kill. Galen must complete a number of tasks to secure the survival of a few remaining people onboard while discovering the terrible truth behind the outbreak. The one thing I can say about Syndrome is that it looks absolutely gorgeous and deserves the recognition it’s receiving for the visuals. With fantastic particle effects and immense dynamic lighting that truly make the game world (for the most part) feel organic and interesting. These factors do outshine more so than before and make the game world that much more immersive compared to some other titles. Along with some great sound design which will certainly put players on edge throughout most of their adventure. The creepy vibes and sinister creeks and echoes aren’t on par with Dead Space yet still strike a nerve when needed. This effectively builds tension and at every step of progression. Sadly, the remainder of the game doesn’t hold up to the aesthetics. Galen will venture across the ship in order to complete various objectives, which often boil down to a mixture of fetch quests and repairing key parts of the ship. And don’t get excited; the repairing usually involves going to a computer monitor and pressing a button on the screen. There’s a dull and uninspiring pattern of finding a locked door, needing a key, finding the location of person with said key and obtaining key to go and fix something. It’s very basic in terms of structure which is fine as games like Resident Evil did it back in the 90s. But without any engaging developments or interesting mechanics to inspire you through the task at hand or any variation of the task itself make the journey extremely boring. Galen will use an assortment of weapons to defend himself from the different monsters that lurk in the shadows but players are encouraged to use stealth to maneuver past enemies. However, in most instances this isn’t needed as you can often just club enemies to death with your wrench as most standard NPCs take about 4-5 hits with it. Of course, resources are limited so keeping healthy can be tricky if you’re not careful but as long as you do your best to dodge their attacks it’s nothing too major to deal with. Evasion is only really needed on the larger enemies such as the double bladed blind creature but these encounters aren’t so frequent or as difficult as you may expect. The major aspect of the game’s design I didn’t like was how it tries to push the stealth angle but makes the game so linear and restrictive on what paths to take. Usually monsters will stand in the middle of a single path and you might find a glass bottle or one other throw-able object to distract it. There are next to none alternative paths to avoid a confrontation but I could see at times different vents that would help avoid an encounter. But often these were blocked off on one side so it made them pointless to be there. As though players couldn’t venture out and find their own way to progress past an obstacle and are forced down the single route and repeating actions they’ve done so before time and time again i.e. throw bottle, wait for creature to move, and walk past it. Otherwise to save time, just hit it on the head a few times and you’re done. The main issue I had with Syndrome is that the game is extremely repetitive and uninspired to create an engaging horror story for the player. The flat voice acting is just cringe worthy as it’s from another time itself. It’s not even on the level of parody as the dialogue is as bland as the delivery and the story itself is massively generic and moves very slowly to keep the investment from players. This is spot on with a mid-2000’s horror game but just more poorly executed. At least these types of games ten years ago had some dynamic elements or were scary. The other major problem is that the game world, while it looks pretty good, is just boring to explore. Hardly anything doesn’t feel like it’s been ripped straight from a FPS maker model pack and is just lifeless, uninspiring and above all dull to interact with. There’s not interesting features, vibrant designs or complex layouts to get you invested or interested in your environment. Even the setups for horror aspects are kind of lame. Look as this spade in the metal floor surrounded by blood. How does this work? There’s no body there which is odd, so I gather the game had a glitch with this too. That’s the final nail in the coffin the glitches. This game is very buggy and while not completely broken, I did encounter some moments the game decided to take control away from me when I interacted with certain PC monitors in the game. Then there’s the poor collision detection, clipping in the environments and spots where you can fall out of the game world. Worse was when I backtracked to a previous location and the game restarted my objective to a mission close to the start of the game. Thankfully, I was able to reload a previous save and continue. Great. Please just don’t bother. 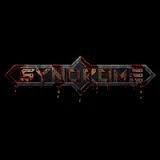 I know this sounds mean but Syndrome is just a dull, uninspiring and boring game to play. While there are some fantastic looking horror games coming out soon and plenty more indie titles that are soon to be released or already out to play now, this is just not worth the time, money or headache it will cause. A humanoid Bear Gamer, who loves playing survival horror, retro classics and modern 2D shooters. Studied Game Design and Creative writing, I adore the narratives and dynamic game-play elements of Killer 7, The Last of Us and Braid. Gamer, picnic basket stealer and giant robot Titian rider.